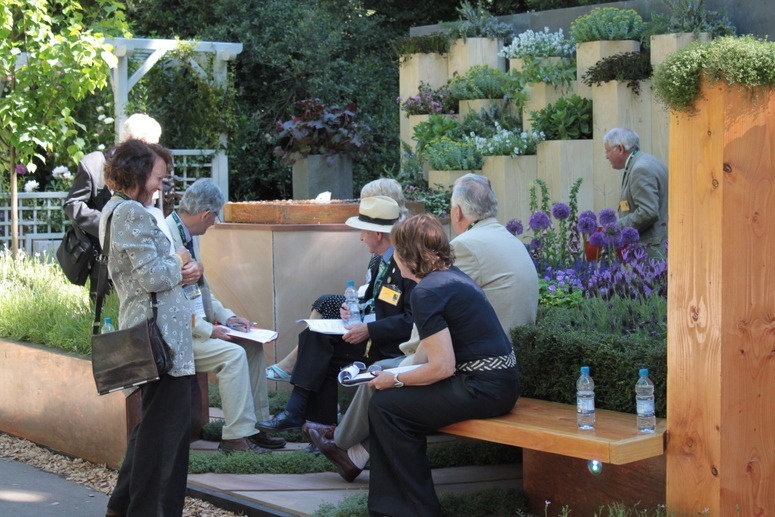 How does a garden design win a Gold Medal and be judged Best in Show at Chelsea? This entry was posted in Garden Design on 26th May 2010 by Tom Turner. 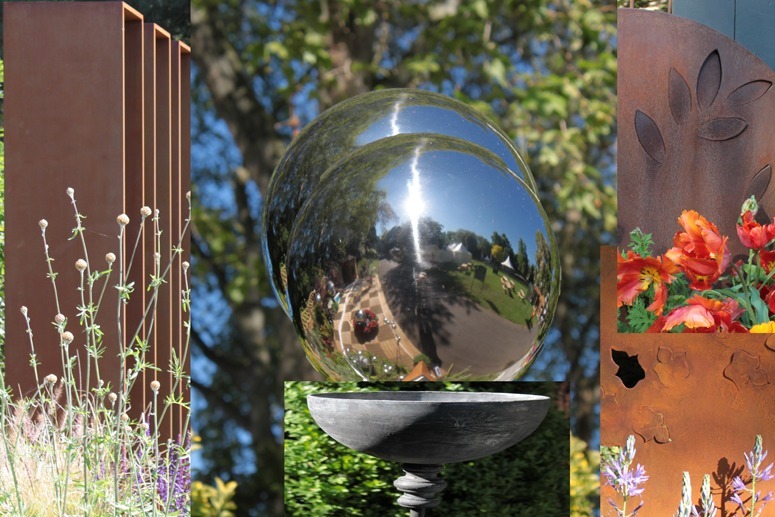 In doing our annual review of the show gardens at the Chelsea Flower Show, it struck me that the use of steel is becoming a feature of the show. I saw mild steel, corten steel, galvanized steel and painted steel. Varied steel colours contrast and harmonize with flowers and foliage – and crisp line sharpan designs. So are designers steeling the show?- or are they getting good prices from a recession-bound steel industry? Time will tell. This entry was posted in Garden Design on 25th May 2010 by Tom Turner. Do the English appreciate good urban landscape design – in Lewisham or anywhere? I have been reading a book by Jeremy Paxman (the BBC’s rotweiller) on The English. Among many well-phrased and unoriginal points Paxman states that ‘the redevelopment of English cities has been left in the hands of stupid, short-sighted and sometimes corrupt local councils, aided and abetted by third-rate architects and get-rich-quick builders. If ever evidence were needed of English contempt for the urban way of life, it is there in concrete and steel’. Self-criticism is always welcome but, like most attack dogs, Paxman only scratches the surface. The English love their towns and I have known many talented architects, landscape architects and urban designers who have worked on them. But good design requires good patronage. The deep problem is that England’s municipalities are frail twigs at the ends of the long branches of central government. Councils raise little of their own money and they have little freedom in how it is spent. So they did not, cannot and have not given local people what they want. There is a glimpse of Old Lewisham on the left of the photograph. It then had a major road driven through its heart – in the name of ‘modernisation’. When fashions changed, Lewisham High Street was part-pedestrianized and a covered shopping centre was built. If any tourists have ever come to see the drab results, it was probably to visit the memorial to a race riot – the 1977 Battle of Lewisham. Paxman may have been there as a cub reporter but on a BBC salary of £1m++ but now lives in a charming Oxfordshire village (Stonor) which is protected from change by the planning system he castigates. The BBC probably send him home in luxury limousines from which he glimpses sufficient Lewisham look-alikes to bare his teeth at the humble designers who toil to make them better. 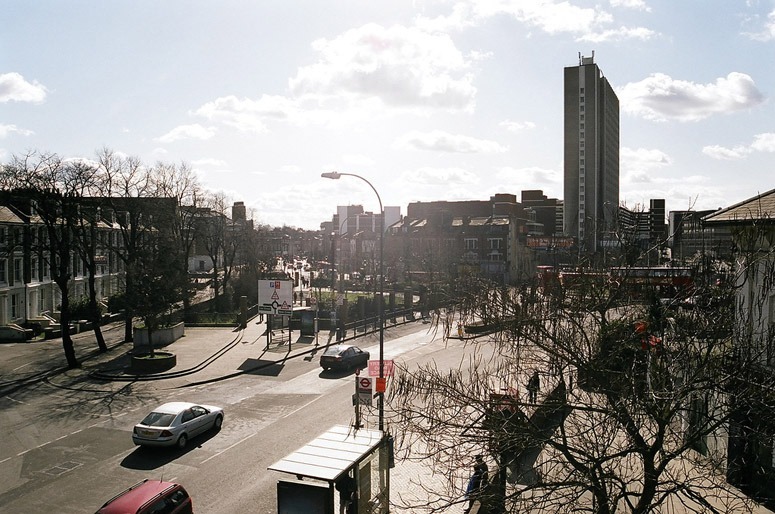 The roundabout area, called Lewisham Gateway, is scheduled for re-re-re-development. You can see the council’s vision for the Gateway Development. The area beyond the roundabout road-sign is a part-buried river. Maybe Paxman thinks the English hate rivers? This entry was posted in Landscape Architecture, Urban Design on 21st May 2010 by Tom Turner. I re-visited Windsor Great Park on the day, in May 2010, that Britain got a Liberal-Tory government and tried to ride my bike along the 4.26 km Long Walk. A flunky dashed out and told me to stop it. I offered to push the bicycle. He said this was forbidden. ‘Why?’ I asked. ‘The Queen doesn’t like cyclists’, he told me. ‘I think I’ll become a republican’, I told him. ‘Me too’ he said. In the course of a long stroll up the Long Walk I noticed the above signs and was overtaken by many vehicles, including picturesque horse-drawn carriages, for paying guests, and a fleet of warden’s cars with no apparant purpose other than ridding the realm of pestilential cyclists. Those with money and power lord it over the poor plebs who pound their own pedals. ‘Twas ever thus’ you might think. But there is hope for the future: our current Prime Minister (David Cameron) and the current the Mayor of London (Boris Johnson) are both cycle commuters – and it is hard to see Prince Charles as anything other than a postmodern liberal tory. Nick Clegg could buy a bike too. It’s a pity about the Queen but she does belong to another era and Windsor Castle remains the best symbol of what the best historian of French Gardens (Kenneth Woodbridge) saw as the Norman strand in British life. The Normans conquered England in 1066 and despite their origin in a tribal and pagan region (Scandinavia), what they brought to England was the centralist administration and palace civilization of West Asia (as modified by the Macedonians, the Romans, the Franks and the French). 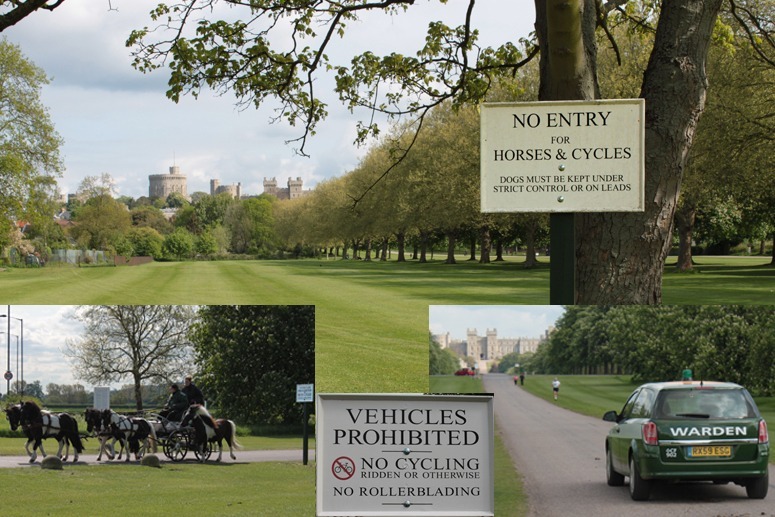 This may add up to a historical justification for banning cyclists from Windsor Great Park. But I hope Prince Charles removes the ban, when and if he acceeds to the British throne. It was the Norman Tendency which converted Anglo-Saxon-Viking England into the imperial power we know as Great Britain and it remains the case that more-recent immigrants think of themselves as ‘British Asians’, ‘Black British’ etc rather than ‘English Asians’, ‘Black English’ etc. ‘Civis Britanicus sum’ may be embedded in their psyches. Though also descended from immigrants, I feel more English than British – possibly because I do not like imperialism. Dunno. Historians may view the UK’s 2010 election as a key event in the re-birth of the Liberal England. George Dangerfield said it had died (in a 1935 book on The Strange Death of Liberal England). Re-birth would please admirers of John Locke, John Russell, William Cobbett, William Gladstone and David Lloyd George. And it would please me. Liberalism is the grand theme of English politics – and of English garden design in the last 3 or 4 centuries. The best garden and landscape design has often had political themes. So it is very appropriate that English liberalism was reborn in a rose garden – despite the irony of roses being associated with Mary Gardens, Medieval Marianism and Catholic Toryism. Note The word ‘warden’ reached England in the early 13th century. It means ‘one who guards’ and derives from the Old Norman French wardein and from the Frankish warding, which derives from wardon ‘to watch or guard’. In about 1300 warden came to mean ‘governor of a prison’. This entry was posted in Cycle planning, Historic garden restoration on 14th May 2010 by Tom Turner. Marvellous that rose gardens are heralding a new age in British politics. 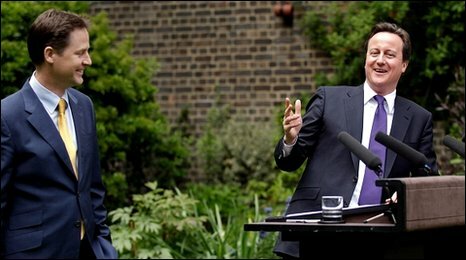 Having found the perfect place for ‘getting into bed together’, Nick Clegg and David Cameron consumated their marriage in the garden of 10 Downing Street (after the 2010 UK Election). John Major thought that if the White House had a rose garden then Downing Street should have one too – so the name was changed. These days, a rose garden is more likely to give one a seat at the top table than an independent nuclear deterrant. The political stench has been foul for most of my life, so my hope is that many future political events will take place in thornless rose gardens. One worry though – there are no roses. As I often remark, good garden design requires good garden designers. This entry was posted in Garden Design on 12th May 2010 by Tom Turner. 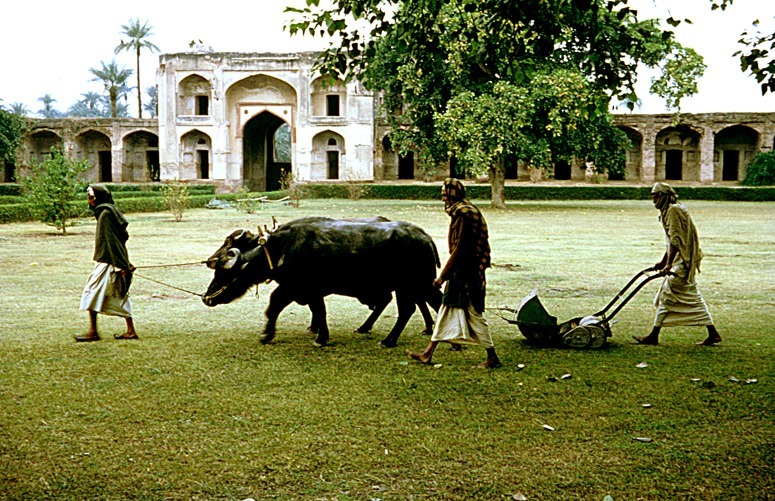 This lovely photograph was taken by Michael Lancaster c1968. My first thought, on finding it this morning, was that is showed a sustainable approach to cutting grass. But do the water buffalos emit more C02 than the small amount of hydrocarbon a motor mower would use? Perhaps. But the buffalo C02 would be endlessly re-cycled and the fossil hydrocarbon would be transferred from the earth’s crust to the earth’s atmosphere. Another point evident from Michael’s photograph is that this is not how the greenspace should be managed. It ought to be a lush area of fruit and flowers. This entry was posted in Asian gardens and landscapes, garden history, Historic garden restoration on 9th May 2010 by Tom Turner. If we are not really that sure what is going on with our planet right now – that is not surprising! 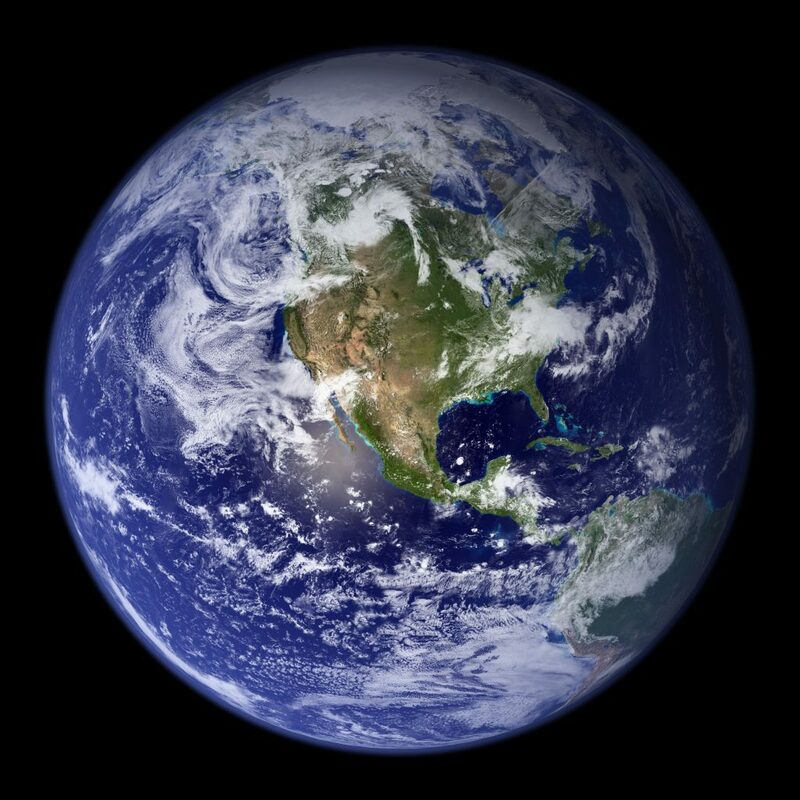 Just looking at the earth from a distance, even in a satelite photograph is an awesome experience. Add to that the sense that in an unknown galaxy – even on the moon – there are unknown possibilities… and you have fertile ground for a new generation of sci-fi movies about saving the planet from global warming. Clearly life on Mars did not die out because of anthropogenic global warming….so what went wrong? This entry was posted in context-sensitive design, Sustainable design, Uncategorized on 8th May 2010 by Christine. I was about to give up on the Landscape Man series with the remark that if it had achieved nothing else it had at least proved that you are very unlikely to get a good design if you do not employ an experienced designer. It was therefore a relief to find that ‘property developers Clive and Debbie’ were employing a garden designer, Thomas Hoblyn, to help spend £250,000 on a garden for their old rectory in Suffolk. Tom’s training is actually in horticulture, but this need not be a hindrance – and if the individual has design in his or her blood, the knowledge of plants can be useful. Clive seemed a pretty hard nut but I had to agree with his scepticism about the use of decking in a cold wet climate. Why do it? Tom Hoblyn seemed to be proposing it on the grounds that it had helped him win a Silver Medal at Chelsea in 2009. Part of the design concept was in fact to bring the Chelsea Garden to Chevington and there is a long tradition of re-cycling Chelsea gardens. I sometimes wonder if it should be a requirement for all Chelsea gardens. So was the design a success? Not really – but it was the best garden design in the series so far. The problem is that it was merely a blown up Chelsea garden – slick-ish but conceptually vacant. You can’t just pile in features and expect to have a whole which is more than a collection of parts ‘Rose garden’, ‘Formal lawn’, ‘Hornbeam Hedge’ etc. Clive seemed to think that perfection of execution would do the trick. Its a good thing to have but, like the assembly of features is not enough. One also needs imagination, creativity and taste. PS a curious feature of this series is that Matthew Wilson has managed to pick up so many of Kevin McLeod’s speech mannreisms. Is Kevin doing a voice over? 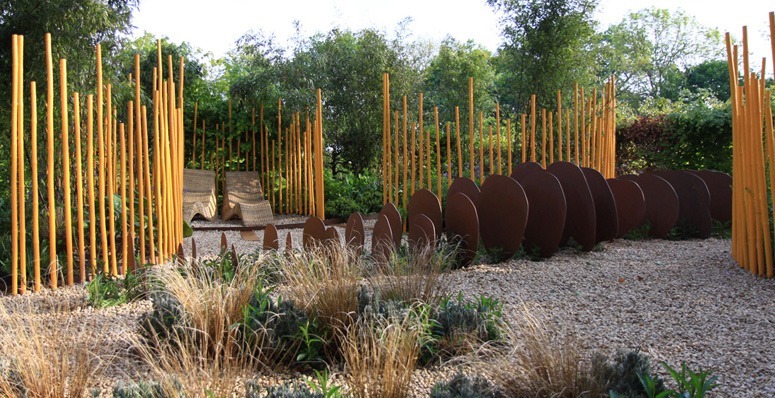 This entry was posted in Garden Design on 6th May 2010 by Tom Turner. 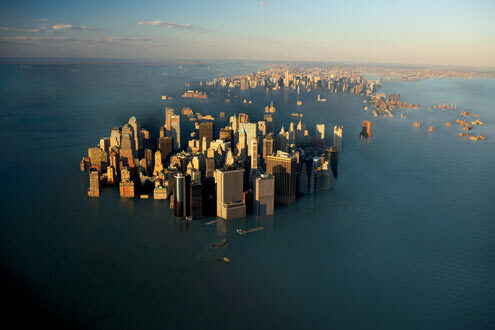 Some predict that as the polar ice caps melt major cities such as London, New York and Bangkok will be flooded. How are we to determine if such a future is in store? And how quickly it might become reality? To understand the likelihood of such an event, and perhaps how quickly it might be likely to occur – some understanding of the historical and contemporary geological setting of the cities is useful. It is believed that the continent of Britain was formed some 200,000 years ago during a megaflood event. What is happening today? Does the eruption of the Eyjafjallajokull volcano have any relevance for Londoners apart from air traffic disruption? 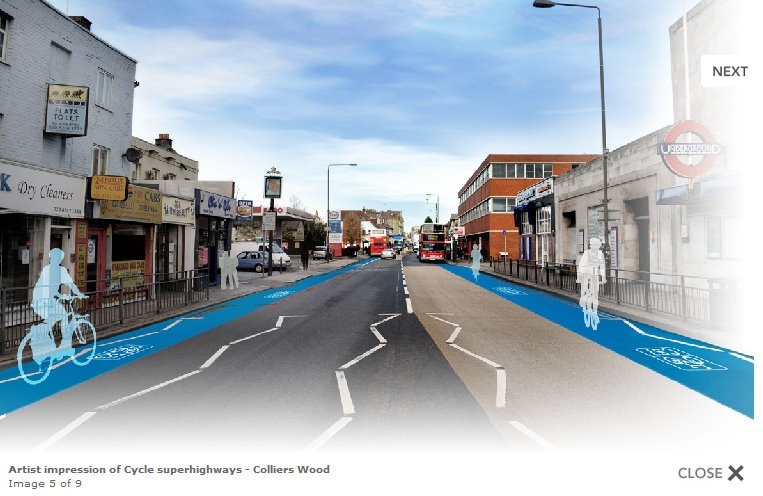 This entry was posted in London urban design, Uncategorized, Urban Design on 2nd May 2010 by Christine.